I’ve lived in places that grew me . . . from a small Idaho farm town, a run-down neighborhood in St. Louis, and a middle-class southern California community, to Sydney, Australia, and Bucharest, Romania. My experiences are as varied as the places I’ve lived. I have a hopper full of “reality” including being a volunteer jail chaplain and flying with a U.S. presidential candidate in his small plane when an engine conked out. And all of this is fodder for my writing. If I am, I didn’t discover that for a few decades! In my earlier life, writing had as much appeal to me as going to the dentist. However, over time, I have discovered I have a penchant for writing—maybe even a talent. In any case, writing is what I do now. What was your inspiration for Sealed Up? The idea for my novel came to me some seven or eight years ago. Where did I come up with the idea? Actually, to say anything about that would be to give away too much of the plot and the conclusion. I will say, it has the potential to be controversial in the vein of The DaVinci Code. Change! What do people do when they are confronted with external events that have the potential to turn their own lives inside out? It’s been five years in the writing. Much of this time was spent in research. 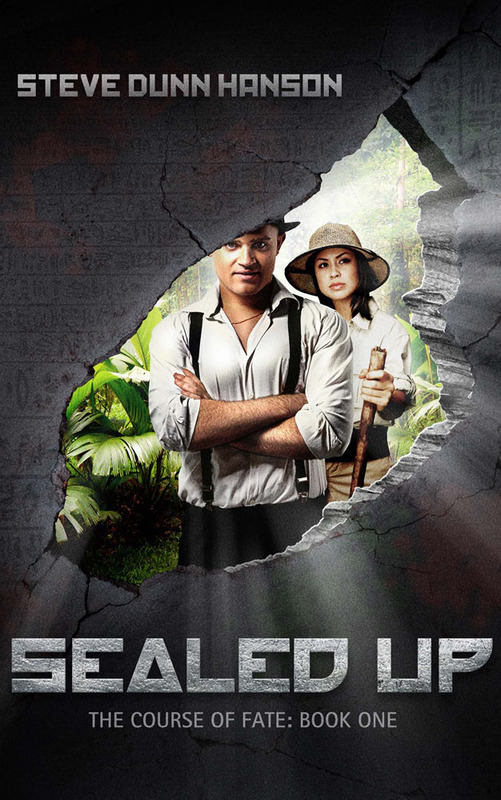 I wanted every aspect of it to be completely authentic. I’m disciplined—with a lapse here and there. I don’t let writing rule me though, and I don’t set aside a certain amount of time to write on a specific project each day. I am retired, and I can use as much of my time writing as I want, but I’m also heavily involved with church, family, and other pursuits. Furthermore, at any one time I have several writing projects I’m working on including my books and my website with blogs, poetry, and my photography. I don’t mean to imply that my writing is not regular. It is. I do it virtually every day. I’m just not locked into a set amount of time. Just about everything. Since the book is so unique, I found myself plowing new ground almost constantly. Research was exceptionally time consuming because of my desire to make it completely real. The characters took on a life of their own, and I spent uncounted hours trying to look through each of their eyes. Perhaps one of the greatest challenges was putting in the absolutely necessary backstory in a way that didn’t kill the suspense-pull of the book. Some people who were looking for a thrill-a-second in the book thought that made the book drag. Most who have read it, however, (it has a 4.3 rating on Amazon), are very satisfied with how I did that. There is nothing that quite equals the creating of something beautiful, meaningful, and true. My first books years ago were traditionally published, but this one, Sealed Up, is self-published. I probably would have gone traditional with this one, if I could have found an agent that fit. As it turns out, I went the right way. I’ve learned a ton in the process, and my book is doing very well. The downside is the time it is taking to “do everything.” That’s slowed the writing of my next book in the series, but that’s okay. I enjoy a good murder. Oh, not necessarily an actual murder, but the kind of murders that occur between the pages of a good book. People ask me all the time, “What made you write about such gruesome stuff?” I rarely have a good enough answer for them and the person asking usually leaves somewhat disappointed. How do you explain to the casual observer, reader, or even fan that you are possessed of a mind filled with all sorts of criminality? Writers of thrillers, crime fiction, mysteries, etc. dwell in worlds bathed in foggy nights and overcast days. Peaceful ponds and lakes are actually places where bodies rise to the surface, pristine winter snows hide the corpses of hitch-hikers, runaways, or promising college students. We who write about crime must lurk in these dark places, it is who we are. And as a consequence we must also rise squinting into the sun and seek justice for those who have been so wronged. We create doctors, lawyers, detectives, housewives, writers, and even vampires who are willing to use their knowledge, skills, instinct and need to bring the bad guy to justice; to solve the very crime or crimes that we previously have so painstakingly committed on paper. It’s like knitting a wonderfully intricate afghan and then carefully pulling it apart as soon as it’s done. But, alas, it’s what we do. Oh, and don’t get it wrong. Sure we create great antagonists. Some are evil geniuses, some are sociopaths and some are complete pychopaths! We use words like unsub, perp, the suspect, and so on to describe them, but isn’t the blood actually dripping from our hands? head on that blank page and build a world in which you hope to immerse your reader. And it’s even more special when it’s a criminal mind. 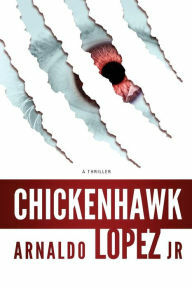 Chickenhawk is an urban crime fiction novel that showcases New York City’s diversity, as well as the dark side of race relations, politics, sexuality, illness, madness, and infidelity. Eddie Ramos and Tommy Cucitti are Manhattan North Homicide detectives after a serial killer that manages to stay below their radar while the body count keeps climbing in a city that’s turning into a powder keg. Arnaldo Lopez Jr. has been employed by New York City Transit for twenty-eight years and was formerly employed as a dispatcher with the NYPD. Mr. Lopez is also a speaker and trainer, speaking on subjects as diverse as terrorism and customer service. He created the civilian counter-terrorism training program currently in use by New York City Transit and many other major public transportation agencies around the country. As well as writing, Mr. Lopez is an artist and photographer, having sold several of his works over the years. As a writer he’s sold articles to Railway Age magazine, The Daily News magazine, Homeland Defense Journal, and Reptile & Amphibian magazine; scripts to Little Archie and Personality Comics; and short stories to Neo-Opsis magazine, Lost Souls e-zine, Nth Online magazine, Blood Moon magazine, and various other Sci-Fi and/or horror newsletters and fanzines. He was also editor of Offworld, a small science fiction magazine that was once chosen as a “Best Bet” by Sci-Fi television. Chickenhawk is his first novel. Connect with Arnaldo Lopez Jr. on Facebook and Twitter. “Writing has taught me the importance of self-confidence in becoming good at anything,” says Christine Amsden, who, in spite of having been diagnosed with Stargardt’s Disease, a condition that effects the retina and causes a loss of central vision, has gone on to become the award-winning, bestselling author of the Cassie Scot: ParaNormal Detective fantasy/mystery series published by Twilight Times Books. “My parents encouraged reading a LOT,” says this speculative fiction writer, who grew up gobbling up The Chronicles of Narnia, The Baby Sitter’s Club, and Flowers in the Attic. “I know they read to me too, but I was an advanced reader at an early age and preferred to read on my own when I could. I have memories of staring at picture books, making up stories about the pictures though I couldn’t understand the words.” At the tender age of 8, she wrote her first short story, about Cabbage Patch Dolls going to Mars. From then on, she wrote fairly consistently until 2003, which marked the beginning of her professional career when she attended a workshop with Orson Scott Card. In what she describes as her messy, cluttered desk, and with a special arm attached to her monitor to help her eyes and back, Amsden creates her stories rich in characterization and world building. 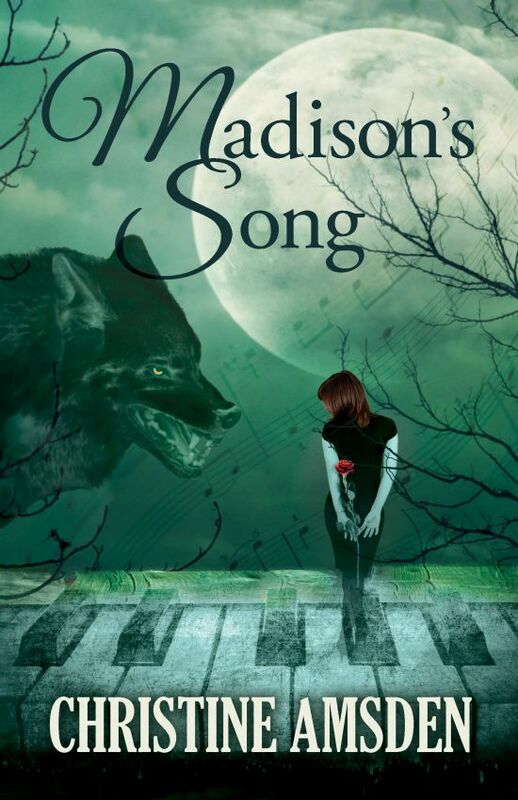 Her latest book, Madison’s Song, a companion to her Cassie Scot series, is about a shy young woman who has suffered more than her fair share of betrayal in the past. A friend of Cassie (the only ungifted daughter of powerful sorcerers), Madison now gets a chance to prove that she can be more than a plump, shy sidekick. When her brother’s life is in danger, she faces her greatest fear with head held high to save him. The story is equally about Scott, a werewolf who has fallen in love with a woman he doesn’t believe he deserves. At the moment, the author is waiting for her next book, Kaitlin’s Tale, to be released by Twilight Times Books. She’s also hard at work on a new series set in a completely different world and with a new cast of characters. Though it’s way too early to say much about it, readers can count on it being filled with romance and the paranormal. A native of St. Louis, Christine Amsden now lives in Olathe, Kansas with her husband, Austin, who has been her biggest fan and the key to her success, and their two beautiful children. 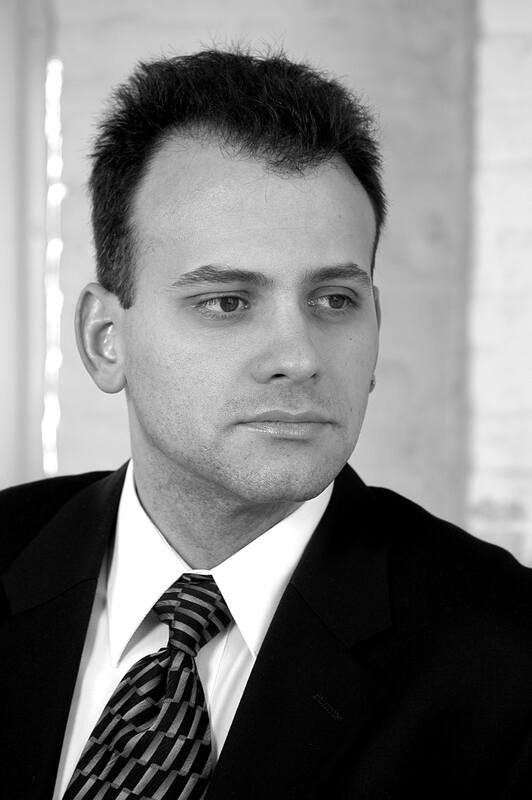 Gabriel Valjan is the author of the Roma Series from Winter Goose Publishing. 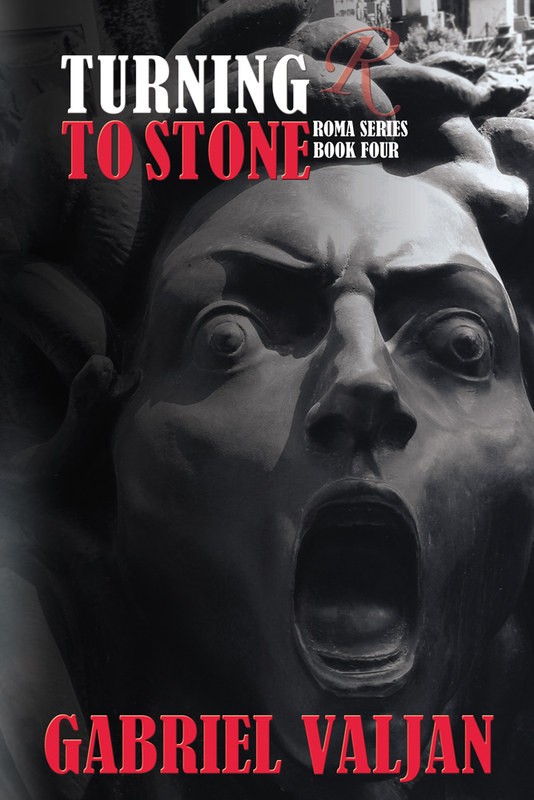 His fourth book, Turning To Stone, came out 15 June 2015. Gabriel writes short stories, which are available online and in print. He lives in Boston, Massachusetts. 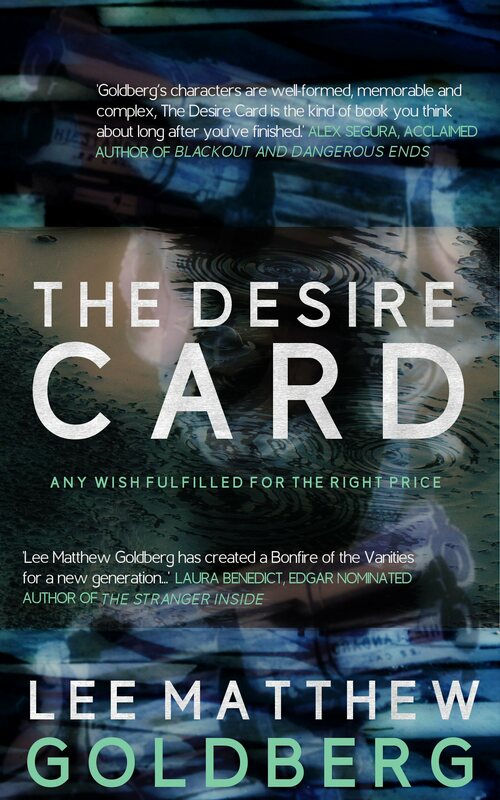 In this interview, he talks about the secrets of writing compelling suspense. Q: Congratulations on the release of your latest book, Turning To Stone. To begin with, can you give us a brief summary of what the story is about and what compelled you to write it? A: Bianca is in Naples this time. Loki, her mysterious contact, is now giving her baffling anagrams. They seem to lead to a charismatic entrepreneur who has a plan to partner with organized crime to manipulate the euro and American dollar. Against a backdrop of gritty streets, financial speculation, and a group of female assassins on motorcycles, Bianca and her friends discover that Naples might just be the most dangerous city in Italy. Roberto Saviano’s Gomorrah, his journalistic exposé on the Neapolitan Camorra, which sent him into exile with a price on his head, inspired Turning To Stone. The Fiscal Crisis of 2008 provides an undercurrent to the novel. I followed the fallout in the media as it related to Italy. Italy, in my opinion, became the first scapegoat, followed by Spain. Italy and Spain are the third and fourth biggest Eurozone economies, respectively. The American media pundits had insisted that the European welfare state is what caused the debt crisis in Europe; that it was European public debt that caused the fiasco, when in reality it was Wall Street’s speculation of American private debt on the international market that had been the true culprit. Italians are very prudent when it comes to their money; they have one of the highest savings rates among European nations and the household net wealth is more than five times their GDP, the highest rate among western European countries. Not once anywhere in the media here in the U.S. had those facts been discussed. Traditionally, Italians invest in government bonds and real estate, very rarely in stocks. Turning To Stone ventures the what-if scenario: what if someone tried to destabilize the world’s reference currency, the U.S. dollar. The thing to fear is fear itself and a stable Euro. Italy may have its problems, but its welfare state is not one of them. Some glaring facts contradict the pundits’ portrait of a ‘weak Italy’, but I’ll mention only two of them, for the sake of space and time: 1) Italy is the least indebted of the EU economies (‘aggregate debt’ is public and private debt combined) and 2) Italian citizens own that public debt: the U.S. can’t say that about its debt, which the Chinese own. If there is a ‘message’, I would say that all my novels deal with relationships and trust, how friends navigate and negotiate a morally compromised world, uncertain of what is the truth or the lie and whether either of those two could get them killed. Q: What do you think makes a good mystery-suspense novel? Could you narrow it down to the three most important elements? Is it even possible to narrow it down? A: Item 1: Present a reason WHY a reader should care about your main character. This is the personal connection. My Bianca is intelligent but flawed. She is something of an adrenaline addict who can’t resist a challenge. She ran away from her employer, Rendition, yet she remains intrigued when they seem to present challenges to her through Loki. As in life when you know your WHY, you acquire an attractive energy. The rest of the story is a matter of HOW. Bianca has specific talents, but she learns time and again that teamwork is how one overcomes obstacles. Item 2: Present a WHAT: a situation in which the main character has to resolve some conflict, or there are consequences. This is the mystery part of your story. I summarized the plot in an earlier question. Throughout the Roma Series I want readers to wonder why Rendition, which is powerful, apparently international, and lethal has not silenced Bianca. Item 3: Present a ticking TIME BOMB. This is the suspense part. Every decision has to have a consequence. Arriving at the wrong conclusion is misdirection. In Turning, I invite the reader to solve the anagrams. People, in my experience, can learn to deal with the consequences of their actions, but they think twice, reconsider the situation, when they know that their actions will affect someone close to them. The Time Bomb is also a metaphor to go beyond your own ego. Bianca has dear friends who have put themselves at risk for her; she can’t let them down. A: Turning To Stone is unique in the Roma Series in that it is my most complex plot. Economics is an abstract subject and about as interesting to most people as clipping their toenails. It is 2015, yet the consequences of the Fiscal Crises of 2007 and 2008 are still playing themselves out here and abroad. I noticed a curious phenomenon within the news media: American news packaged the crises into neat sound bytes with very little analysis. The finger pointing was such that the pundits pointed at the moon, but had us staring at the finger. When Wall Street received some of the blame, the knee-jerk reaction was to blame it all on greed rather than explain how the bankers did it. In plotting Turning I wanted to show that the criminal’s plan would affect national economies. We are all connected. Think about the farmer or trucker when you buy produce at the store? You are dependent on him for sustenance and his farm is dependent on your consumer loyalty. Turning is about considering those connections. The currency in your pocket means something because we all assign a value to it, so what if someone came along and redefined that value for you? That is exactly what happened in 2007 and 2008. In stark terms, one casualty of the Crises was home ownership, the symbol of the American Dream. Someone came along and said that your home is relatively worthless, but you still have to pay the mortgage and property taxes based on the original appraisal that no longer exists. In terms of consequences today, the news will talk about austerity measures, but won’t tell you about the suicides as a result of unemployment in Greece. Just this morning I was reading about a doctor in Greece who had worked a 12-hour shift, dealing with such suicides, only to end his shift seeing a body bag that contained the body of his son who had killed himself. A: I didn’t do interviews, but Bianca is inside my head, figuratively speaking. As with all my characters in the Roma Series, they live and breathe, have their own personalities and quirks. Bianca began as a challenge from a work colleague. She jokingly teased me that a man couldn’t write a female character. She wanted to see what I could do. She was tired of reading about detectives, male or female, who cursed all the time, had a drinking problem and dysfunctional relationships with their family and peers. I think she was reading a lot of British and Icelandic noir at the time. I’m old enough to remember the primitive days of computing so that helped in bringing Bianca into existence. As a kid, I knew one of the world’s premiere hackers. Bianca is an amalgam of personalities I have met and known. She is no Lisabeth Salander but she has her own issues. The short story I had written for a friend morphed into the first book in the Roma Series: Roma, Underground. A: Each Roma Series book has its own villain. Each novel has organized crime and Rendition as monolithic bad guys. I tried to avoid stereotypes. In my experience, the people who are very experienced at the not-so-nice things in this world are very quiet and unassuming; they don’t draw attention to themselves. Men who have seen and participated in combat, for example, don’t talk about it. Likewise, the individuals who are powerful in organized crime are not flashy, don’t have their names on a chart, or drive fancy cars and act like Tony Soprano; they are often milquetoast. John le Carré demonstrated countless times in his fiction that spy-work is hardly James Bond adventures; it is mind-numbing routine, analysis, and endless waiting until the opportunity presents itself. My bad guys are intelligent and well educated. What makes them deadly is they don’t make mistakes, which is why Bianca and her friends are heroic – they have to stop the baddies. In Turning, it so happens that the bad guy has allies, the Neapolitan mafia, the Camorra, along with the Calabrian and Sicilian mafias, the ’Ndrangheta and La Cosa Nostra. A: Writing a mystery-suspense novel is like camera-work in filmmaking. A writer has to know when to cut the scene and guide the reader’s eyes to another scene. In shoptalk, I’m referring to pacing and subplot. The story arcs are zoom-in and tracking shots. If we were to dissect Turning, we’d start with an assassination and learn about a criminal conspiracy to commit forgery; our characters, particularly Bianca, struggle to put a stop to the violence while they field interference: bureaucratic and criminal. The subplots are always about the relationships in my books. Farrugia is undercover and at risk. He also has a love interest, Noelle. I introduce a new character who has a question mark over his head. Good or bad guy? In Turning, the ticking bomb is solving the anagrams that Loki gives Bianca. A: Research and personal experience. I’ve been to Naples; it isn’t my favorite Italian city. Naples is very gritty and reminds me of New York’s Little Italy on the hottest, most humid day in the summer. Saviano’s Gomorrah, which I mentioned earlier, provided me with a sociological and psychological profile of Naples and the region, Campania. I read through blog posts done by ordinary citizens who are trying to fight the Camorra. What I found fascinating and disturbing is that organized crime is like a biological creature in that it has organ systems and a nervous system. The Sicilian mafia is hierarchical, patriarchal, and closed off. The Calabrian mafia is impenetrable to law enforcement, with an almost non-existent rate of penitents, those who ‘flip.’ The Camorra is the most flexible organization in that it will work with any ethnic group and it can ‘set up shop’ anywhere in the world. Readers will quickly discover in Turning To Stone that, like real life, women play a vital role in the Camorra. After reading Saviano, I concluded that Camorra would make the perfect corporation. A: The recurrent theme to all the Roma novels is the evolving relationships between the main characters. These characters are team players with unique flaws and strengths. True friendship is worth fighting for in a troubled world. I hope that readers see an emotional arc in character development in each of my characters throughout the Series. The world is a scary place and governments are entities that will do what they have to do in order to survive. People are ultimately expendable. The only thing that any government needs from its citizens is their consent. I tend to know my plot before I start writing. Revision is for fine-tuning scenes and checking the logic of the plot. A: That is a challenging question. Craft to me is technique, those things that you learn by example from reading other authors, or from study in the classroom. What can’t be taught is the idea for a story. Take Raymond Carver’s short story “Cathedral” as an example. The idea is simple yet profound: How do you explain a cathedral to a blind man? Nobody can teach the idea for a story. Stories from writers with an MFA come to my mind: technique is there, evident, and I feel the nudge and the wink, but often the story has no life; it does not ‘speak’ and feels clinical. Art — I make no claims to define it, but for me artistry exists in taking the mundane and making it extraordinary. I appreciate it when someone shows me a new way at looking at something, whether it is a flower or a garbage can. Editing is complicated and the hardest part of writing. It amounts to murder – the ‘kill your darlings.’ I would say that editing dialog is tricky. In real life, people do not speak full sentences or display coherent thoughts, which the reader knows and for which he or she suspends belief, but if the writer holds steadfast to every grammar rule then the dialog wouldn’t sound realistic. People, for example, don’t subordinate in real life: ‘I think it’s unrealistic’ versus ‘I think that it is unrealistic.’ A writer needs an honest, caring editor who knows language and psychology. Speaking for myself, I can’t proofread my own work because my eyes don’t see the missing words. I know the story too well, so I rely on others for structural editing. Ego has to be left outside the door. The writer is not there to say, “This is what I meant when I wrote this.” What is there on the page has to speak for itself without commentary. A structural edit should find gaps in logic and continuity. Bianca came into the room with red heels; she shouldn’t exit wearing sandals. As to whether editing can kill the creative – I don’t think so, but no amount of judicious editing will save bad writing or an ill-conceived story. Humility: The story is what matters. A reader cares about what is on the page, and not about who you are or what you look like, or if you are traditionally or self-published. Curiosity: Remain open and as curious as a child. Lessons come from unexpected sources. It is all material.. Discipline: Time spent talking about it is time you could be doing it. A: Homework sounds like a bad thing, as if it’s an unpleasant chore. Musicians appreciate good music regardless of their personal preference because they understand rhythm and melody. A cineaste will watch a film, know how it will end yet will find pleasure on the screen from start to finish. Writers are no different in that they appreciate a well-turned phrase, a clever image or a well-told story. Instead of homework I would say that when you enjoy what you do you don’t think of it as homework. You have to breathe and that isn’t homework. Writing is like breathing for some people. A: Rennie Browne and Dave King’s Self-Editing for Fiction Writers and Carolyn Wheat’s How to Write Killer Fiction are two excellent books that provide numerous examples to substantiate their teaching points. 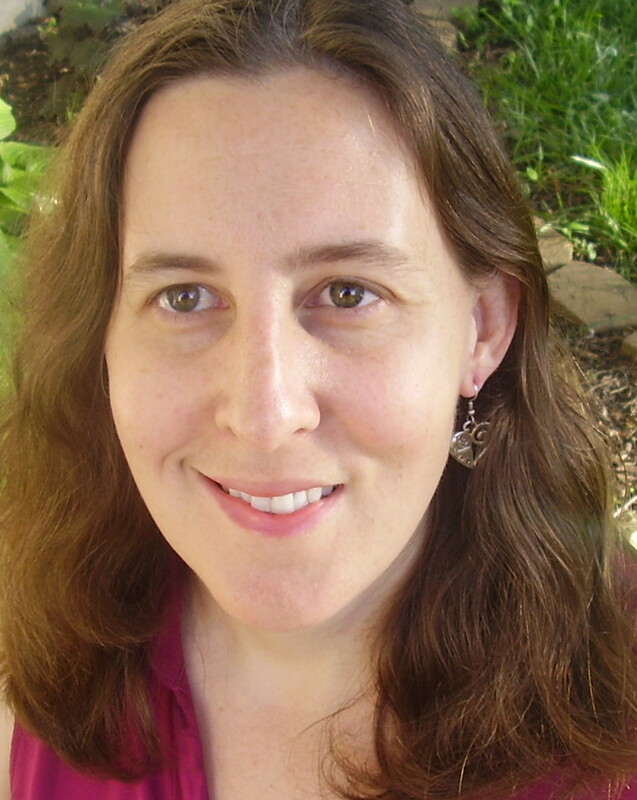 Kristen Lamb’s blog We Are Not Alone offers both writing advice and social media strategies. Writer Unboxed is another blog that has daily articles of encouragement and advice for writers. Other than that, the greatest resource that any writer has is their library card. A: Respect your reader, for their time is precious, and be grateful should they spend it with you. Respect yourself and write the best story that you can write today. Listen to the world around with all your senses, for it is all material. Learn from your mistakes and from others, and strive to be 1% better each day. You will not only be a better writer, but a better human being. 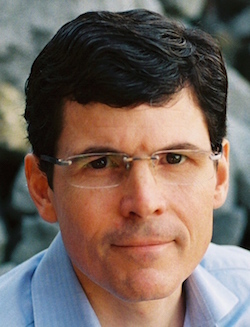 Jim Bailey is a fellow in the American College of Physicians and professor of medicine and preventive medicine at the University of Tennessee Health Science Center in Memphis, where he directs the Center for Health Systems Improvement, cares for the sick, and teaches doctors in training. His research appears in many peer-reviewed medical journals, including AMA, Journal of General Internal Medicine, and Annals of Internal Medicine. 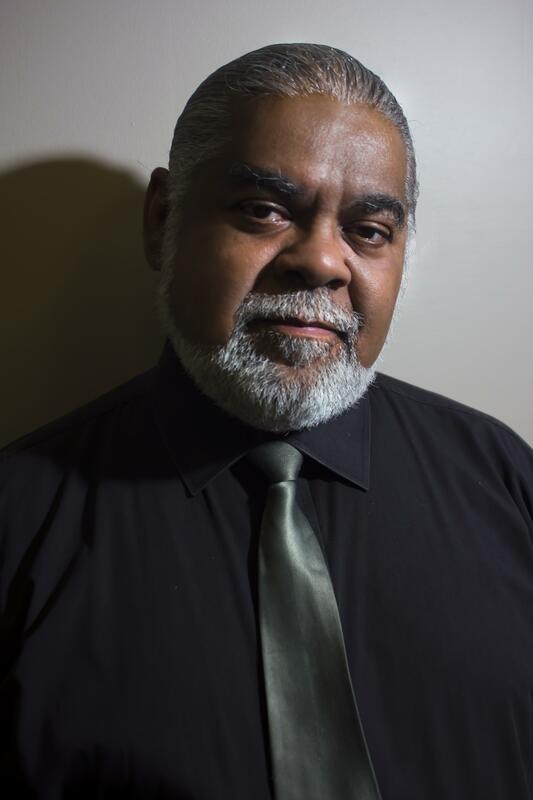 Dr. Bailey has an abiding passion for the classics, medical history, and ethics, and believes that sharing our stories can heal.The End of Healingis his first novel. Q: Congratulations on the release of your book, The End of Healing. What was your inspiration for it? A: My inspiration came on 9–11, my birthday, when I realized that as bad as the twin towers disaster was, healthcare was worse. I knew that a 747 planeload of people were being killed by medical mistakes every day and no one was doing anything about it. To the contrary–many were profiting from it. And the public was oblivious of the danger. People mindlessly look to hospitals as their great temples of hope and healing, when in fact they are the most dangerous places of all. As a physician and healthcare researcher I knew that I could write dozens of journal articles every year in the best medical journals and it wouldn’t open the minds and hearts of the American people to understand where true healing comes from. I knew then that I needed to tell a story. A: Dr. Don Newman is much like the young doctors I teach at the University of Tennessee. He wants to be a healer, but finds himself in a broken healthcare system that puts profits before patients and waits until people are near death—when it is usually too late—before anyone thinks to help. Many doctors, nurses, and other healers become cynical and suffer burnout when confronting this situation. Don is one of those extraordinary young physicians who makes up his mind to find a better way. A: After studying the great books at St. John’s College in the early 80s I dreamed of writing the next great American novel. But then my graduate fiction-writing teacher told me I needed to write about what I knew and I didn’t seem know much of anything. At that point, medical school seemed like the easier option. 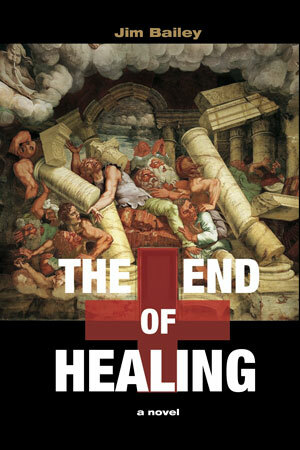 Twenty years later, in 2003, I started writing The End of Healing as a work of narrative non-fiction. For over a year I wrote and wrote without having the courage to admit that I was writing fiction. When my spouse, who is also my editor, told me I was writing fiction—and suggested I’d better stop because it would take me forever—my first reaction was denial. I assured her that I was, in fact, writing creative non-fiction. As usual, though, she was right. It was over a full year later, in 2004, I realized that I was writing fiction—and that filled me with terror. I couldn’t write fiction. That had already been determined. But despite my despair, The End of Healing was a compulsion for me, and I wrote nearly every day for ten years until its publication. I wrote and wrote and edited and edited and learned the art of story telling over the last ten years because I had to do so. The story needed to be told. And it is a story you need to hear. A: You have to have an entire story arc or at least the heart of a great story that you think is really exciting. If you don’t have that kind of story in your heart that needs to be told then you will never make your narrative exciting for others. How can you expect your story to be exciting for others if it isn’t exciting to you? So you start with the story that needs to be told. A story you have to tell because it burns to be let out. Then you can craft it, shape it, and perfect it to make it exciting for others. A: Yes. I think if we are honest, most of us experience anxiety when we have something that we need to do that is undone. So how do I handle my anxiety? By writing. That seems to be the best cure. And if it doesn’t work right away, then I write some more. A: Writing is hard. And it is hard to balance writing fiction with my already difficult work schedule as a physician, teacher and researcher and my role as a husband and father. My wife and I reconnect by taking our dog for long walks around our neighborhood. Early in my writing of The End of Healing I told a good friend and mentor of my despair and deep concern that I would never finish the book I had started. I still remember his advice. He said to just write a little bit every day. Set a schedule. Make a plan to fit a little writing into each day’s work and in time your effort will add up. So I followed his advice. Almost every day for the last 10 years I got up early in the morning while the rest of the house was asleep and wrote for at least 30 minutes but most often for an hour or two. And lo and behold, I discovered that my dear friend—who has since passed on—was right. The writing did add up. A: I’d consider The End of Healing to be successful if it encourages people to take charge of their health and healthcare resources. I’d like to stop to the unnecessary suffering caused by our hospital and sickness-focused healthcare system, eliminate the needless waste of lives and dollars spent on unnecessary care that isn’t really care at all, and help people see what a real healing healthcare system would look like. We should get much better value for the $2.3 trillion dollars we spend each year on healthcare. 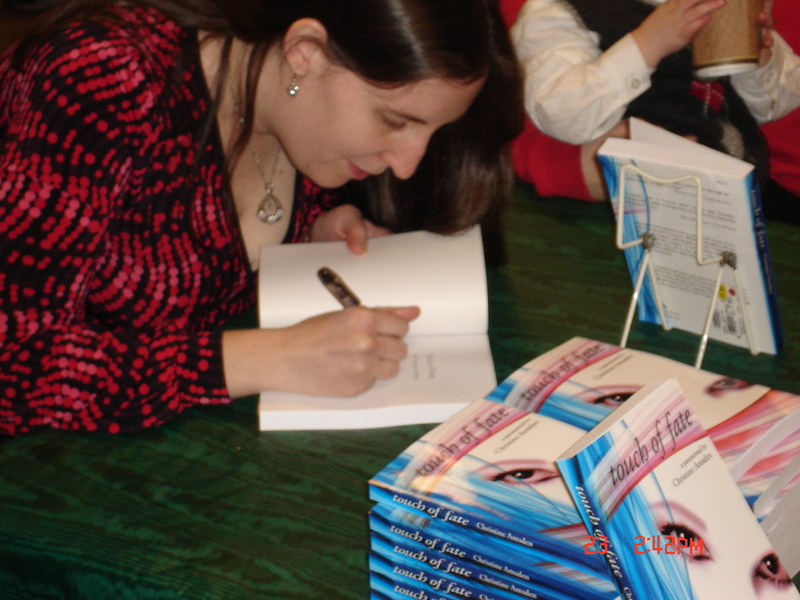 When I first started writing The End of Healing, I set as my sales target at 200,000 books. To me that would represent the beginning of real success, for it would mean that I had really touched enough minds and hearts that we’d be well on our way to making a significant impact. A: Get couples counseling. All of us need friends, spouses, or partners. And true friendship and partnership means supporting one another’s dreams. We have to do that for one another if we are to have a successful partnership. I have been incredibly blessed to have an extraordinarily supportive partner. My wife, Sharon, has served as my primary editor. 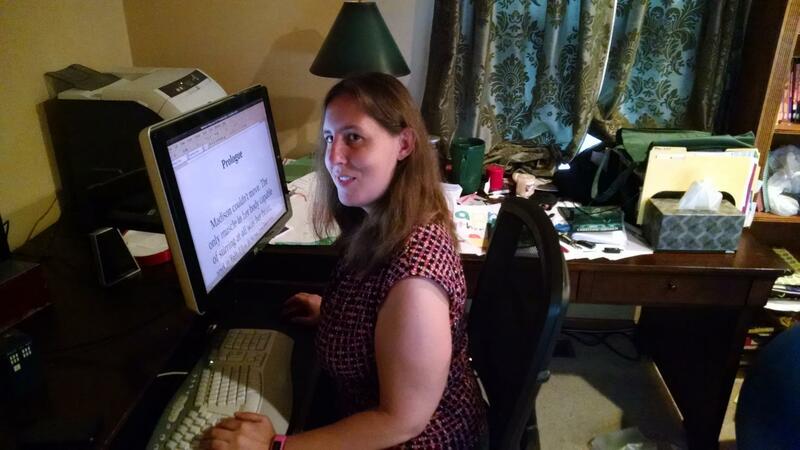 Although at times my writing frustrates her because of its all-consuming nature she has been incredibly supportive. My novel would not have been completed without her, nor would it have what beauty it has to offer. A: Yes. My ‘demon’ was the fraud, waste, and suffering I saw every day in my profession. Understanding the reasons for this illness at the heart of my profession made the illness all the more painful for me. Then I rediscovered the Divine Comedy by Dante Alighieri and found myself driven by his spirit to expose the hidden corruption in healthcare in the same way that he had exposed the hidden corruption of his time. I started writing The End of Healing in 2004 while on sabbatical in his hometown of Florence, Italy. Each time I walked past the statue of Dante in the Piazza delle Santa Croce, I’d see his grim visage scowling down at me with disapproval that I was out walking and enjoying the city and had not yet finished my book. Across the centuries, Dante both tormented and encouraged me to persevere and finish my work. A: I was able to write The End of Healing because it grew out of my own experience and was a story I needed to tell. Whether you are writing a PhD dissertation or a poem, great writing begins with careful choice of your subject. 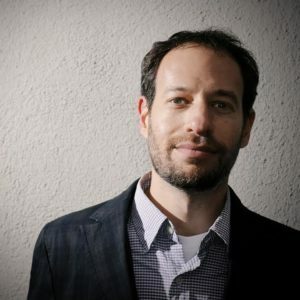 You have to write about something that you care about–something that you care about a lot—or it will never resonate and you will never be able to finish. When it comes to great writing you will struggle to keep your focus and dedication to the task unless it is a task that matters, a story that matters. Look for the story that matters most in your life. That is the story you should aim to share.